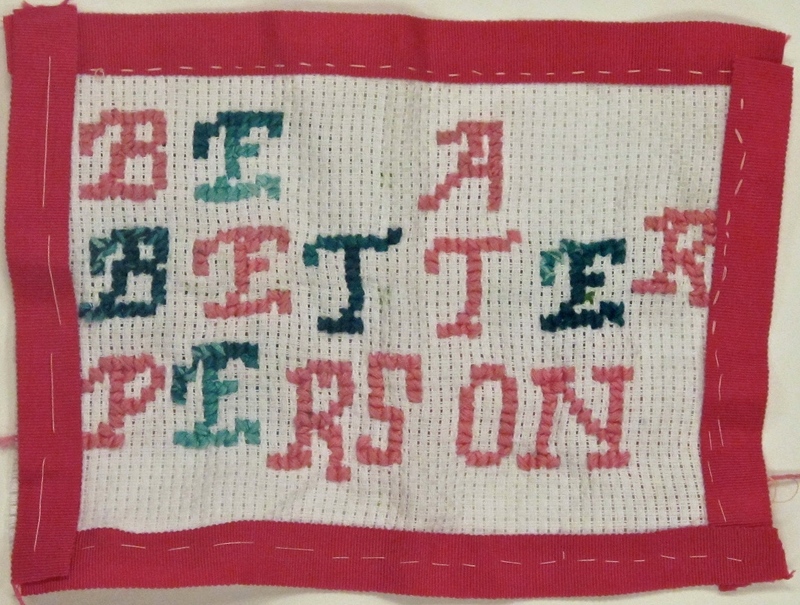 Brooklyn students embroider their ideas: Part 17 | Be Nice. You’re not alone Abigail! I think most people want to be better people. The other good news is that most of us are already pretty superb people. 🙂 Great work! 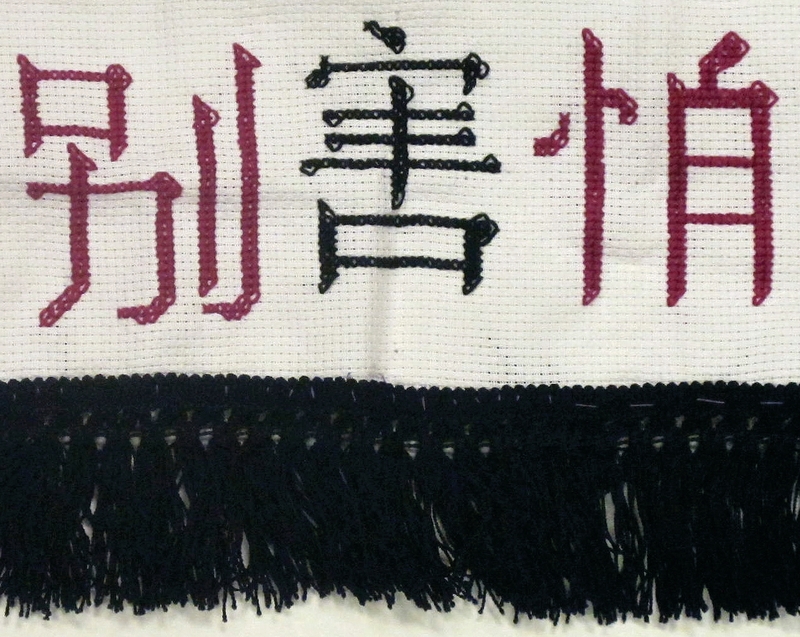 I really enjoyed the lower border on this work–it really brings out the middle character. This is a great piece, and message! In my experience, too, I am awful at making decisions! My poor husband has to wait all the time while I figure out what I want (he doesn’t need to learn patience, that’s for sure)! Making decisions is a tough thing to do. I admire you, Merlin, for achieving that goal!